I resumed my journey south-west along the Pacific Highway. Fortunately, as I would discover, there would be footpaths for the rest of my journey. As well, the terrain stayed relatively flat with only a few small hills here and there. Also, the environment was pleasant Sydney Upper North Shore suburbia. It was one of my most relaxing long walks yet. After Mount Kuring-gai came Mount Colah, which I had last visited on a cold, dark and rain-swept night back in 2012. Today, though, I could finally see most of it on a nice day. After Mount Colah came Asquith, which I had also last visited in 2012 but during the afternoon. It still looked the same as I remembered it, including the Coles supermarket not far from the highway. That’s where I stopped just after 1pm for another break and more chilled water that tasted absolutely delicious. At 1:20pm, I resumed my journey. 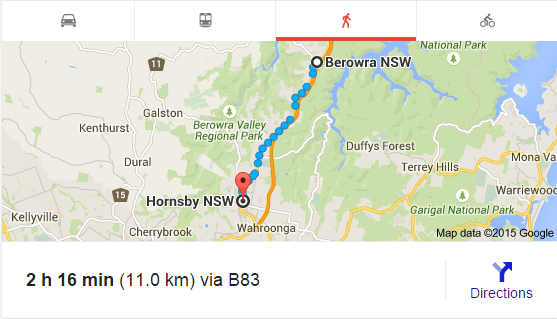 Not far now to Hornsby. There were two ways to get there – the more-direct route along Jersey and George Streets that followed the railway line, or along the Pacific Highway as it headed west and eventually turned back into Hornsby. I decided to continue along the Pacific Highway. And once again, I was pleasantly surprised. As I mentioned before when I previously walked from Hornsby to Artarmon, “beauty” is not a word that many Sydney motorists would associate with the Pacific Highway – but today as I walked it from Asquith to Hornsby, I experienced and saw it in a different way as it passed through a picturesque neighbourhood. 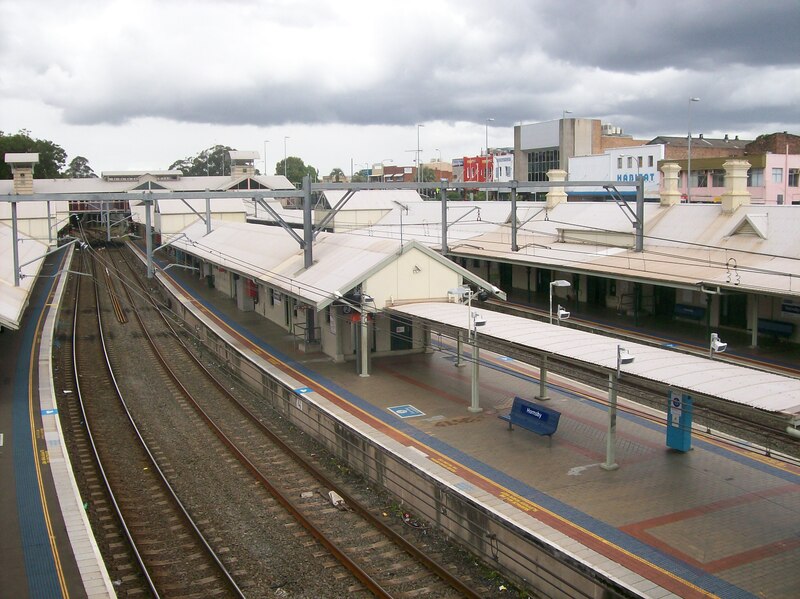 Barely 40 minutes after leaving the Coles at Asquith, and including a brief visit to a secondhand bookshop, I arrived at Hornsby railway station at around 2pm. I officially declared my walk complete. Soon after, I went over to the Westfield Hornsby shopping centre, where the first shop I visited was Kathmandu. As I browsed their adventuring gear, I smiled as I thought about the adventure I’d just completed. I didn’t buy anything, although I was quite tempted by a few items. Despite that uncomfortable half-hour between Berowra and Mount Kuring-gai, my first long-walk for 2015 had been a success. As a result, I began looking forward to doing more. In the days that followed, I revived a previous idea of walking from Hornsby to Parramatta and considered a new one from Carramar to Parramatta out west. But as it turned out, I wouldn’t do another long-walk for almost six months. 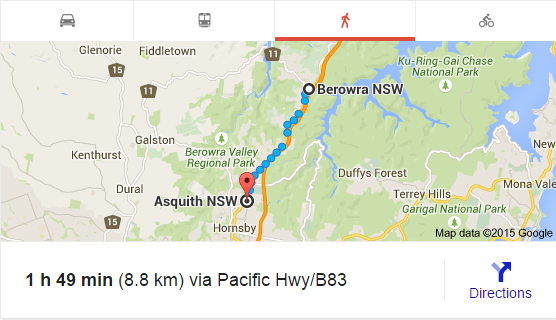 Although only a week after I walked from Berowra to Hornsby, an unexpected and greater life-challenge appeared. This entry was posted in Action, Happiness, Hope, Inspiration, Life Challenges, Life is Good, Travel. Bookmark the permalink.